Last we left off, our little family was making big moves to find a home in Austin. This is still front and center but I think it's calmed down since we found the neighborhood we want to settle down in. Now we are going through the motions with the builder to make everything official. If its God's will, we will be building a house that should be ready in summer 2017. On the running front, last week I started marathon training for the The Cowtown Marathon! I'm rolling right into marathon training after building up my base all summer for the half I ran in October. I have been running consistently 3-4 days a week with most of my runs on the treadmill because of my parental constraints. Although, the weather in north Texas is absolutely perfect for running right now and a run while the sun is out is high on my Christmas list! I haven't officially signed up for the race because I'm still trying to convince Brad to run the half (so I can have some company for the first 10 miles of the race). 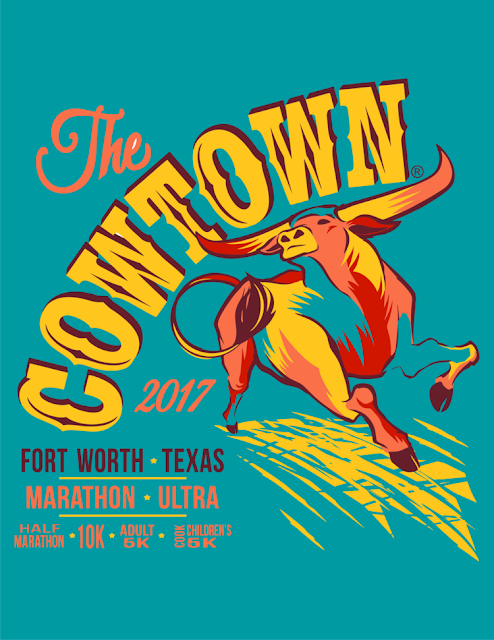 I love the cold weather for running but I don't think that's a motivating factor for him :) I hear that Cowtown is usually very chilly and has a few hills. Split Long Runs - Instead of your typical long run Saturday, I asked my coach to be creative when planning my long runs. Every-other-Saturday I am able to do my long run solo & outside (when Brad is off of work). The catch is the weekends that Brad is working. Our plan is to break up my long run between two days (Friday and Saturday) so I am not stuck doing 15+ miles on the treadmill at any given time... that is just completely unrealistic for me. Friday is a mid-long run ranging from 6-8 miles and on Saturday is the remaining miles split between the treadmill and the stroller. Doing these runs back to back should help simulate the long run feel on my legs come Saturday. Treadmill Runs - Between the cold mornings in Dallas (temps in the 30-40s before the sun comes up) and those mornings that it's just Joanna and I at home... we are planning for lots of treadmill runs during the week. I'm taking suggestions for Netflix shows filled with drama and suspense! Strength - I never really focused much on strength in my other training cycles. This time, instead of running 6 days a week - I'm running 5 and putting 1 day of focus on strength. I've been trying to focus 1 day on strength since I started back up running but I haven't been consistent every single week. My biggest goal for this race is to finish strong. But my second goal is to finish at 4hrs and 45 minutes. I'm hoping this moderate goal will push me to train without putting a lot of pressure on me to PR. I know that I don't have the dedicated time to train and beat my marathon PR of 4:30 but I'd like to definitely finish under 5 hours. I also realize that marathon training with a child is much different than pre-parenthood and so I'm giving myself some grace that I may not be able to make every single run... because.... life. Let's do this! By March (and my 29th birthday) I'd like to be able to call myself a Marathon Mama!